Information and documentation on GeoKettle in the Documentation Center. Get support and interact with GeoKettle users in the forum. Report a bug or request for a new feature for GeoKettle in the Bug/Issue tracking system trac. 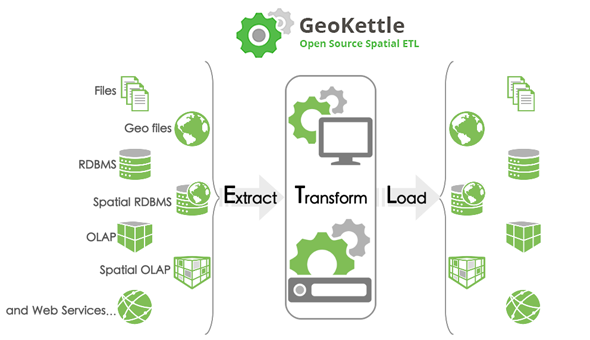 GeoKettle has been released under the LGPL. *Non native formats, can be used with some modifications. 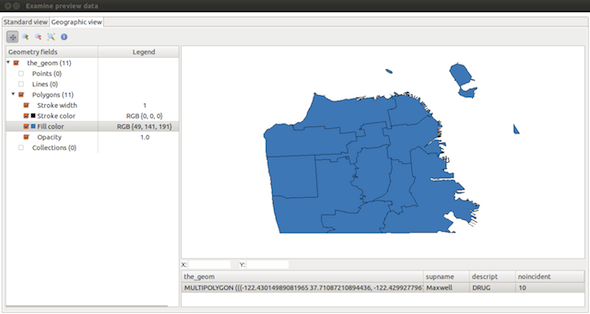 Cartographic viewer to preview your transformations, including map customization tools and basic cartographic functions.